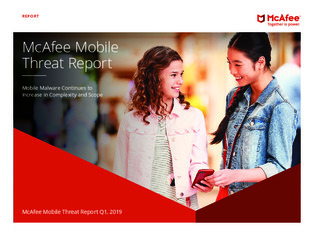 If 2018 was the year of mobile malware, 2019 is the year of everywhere malware. Detections of backdoors, cryptomining, fake apps, and banking Trojans all increased substantially in the latter half of the year. While hidden apps and Adware remain by far the most common form of mobile threats in Android, the others are growing and learning how to infect other types of devices as well. In this 2019 report, learn about a few simple steps that you can take to drastically improve your own security and that of the devices that surround them.